The Benedictine Spirit Award is presented annually to a physician who provides distinguished service to patients and upholds the mission and values outlined by the Sisters of St. Benedict of Annunciation Monastery. This year’s recipient is Dr. Laura Archuleta. In addition, the Best of the Best Awards were presented to those who have shown outstanding commitment and dedication over the past year. Each physician was nominated by health care team members. The first Doctors’ Day observance was March 30, 1933, in Winder, Ga. The idea came from Eudora Brown Almond, wife of Dr. Charles B. Almond, and the date was the anniversary of the first use of general anesthetic in surgery. The Barrow County Medical Society Auxiliary proclaimed the day “Doctors’ Day,” which was celebrated by mailing cards to physicians and their wives, and placing flowers on the graves of deceased doctors, including Dr. Crawford Long, the first physician to have administered ether anesthesia for surgery. The United States House of Representatives adopted a resolution commemorating Doctors’ Day on March 30, 1958. In 1990, legislation was introduced into the United States House of Representatives and United States Senate to establish a National Doctors’ Day. Following overwhelming approval by the House and Senate, then-President George H.W. Bush signed a resolution designating March 30 as National Doctors’ Day. 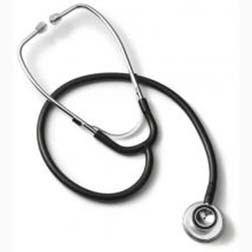 The first National Doctors’ Day was celebrated in 1991.